Florida D License Training in Tampa January 15 -18. Start the new year with a new career. Unarmed Security License Training in Tampa Bay. Here in Florida, the first step to begin a career in security is to obtain your Florida D Security License. And there is no better way to start that process than ESS Global Corp here in Tarpon Springs. 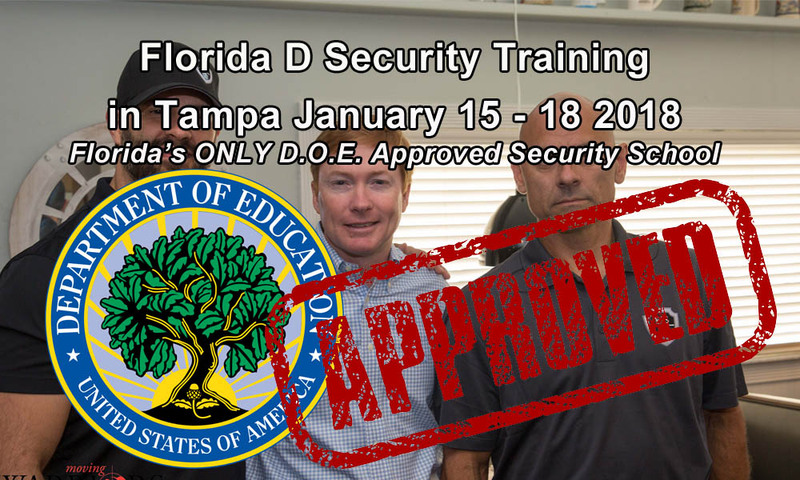 ESS is the only security school in Florida that has been vetted and approved by the Department of Education. 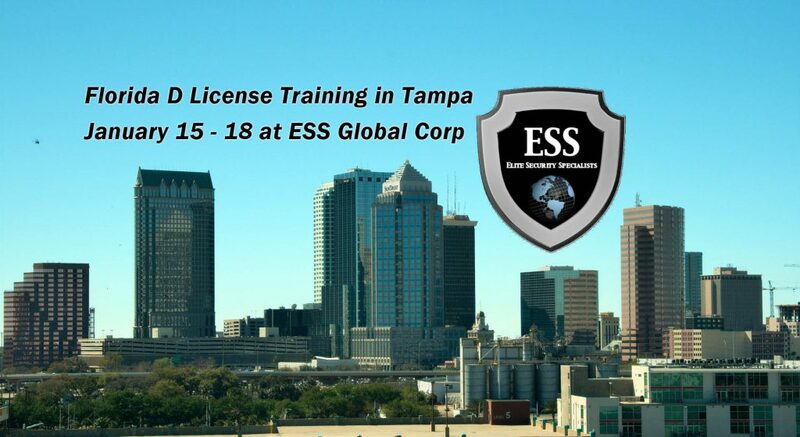 The ESS Florida Security D License Class in Tampa is a 40-hour training. spread out over 4 days, that teaches the basic principles of unarmed security including; physical security, access control, emergency procedures, and more. Skill development shall include report writing, interviewing techniques, accident and crime prevention. The attainment of a Class “D” statewide license issued by Florida’s Department of Agriculture and Consumer Services is the first step in becoming a security officer. Once you have completed the state-mandated 40-hours of classroom training and taken and passed the exam the State of Florida will issue you a temporary license. The temporary license will allow you to begin working immediately while waiting for your hard copy from the State. Note: Anyone may take the class to obtain the Class “D” license. However, F.S. 493.6109 outlines the guidelines that must be met in order to be eligible to obtain a “D” license. Be a citizen or legal resident alien of the United States. May not have been adjudicated incapacitated under s. 744.331 or a similar statute in another state. May not have been involuntarily placed in a treatment facility for the mentally ill, unless judicially restored. May not have been diagnosed with an incapacitating mental illness, unless cleared by a psychiatrist. May not be a chronic or habitual user of alcoholic beverages to the extent the individual’s normal faculties are impaired. May not have been committed for controlled substance abuse. This 4-Day 40-Hour Training is $125. Register Today! Posted in ESS Global Corp, news, school, training, updates and tagged d security license class tampa, d security training tamps, D.O.E. Certified, ESS Global Corp, florida d security training tampa, unarmed security.